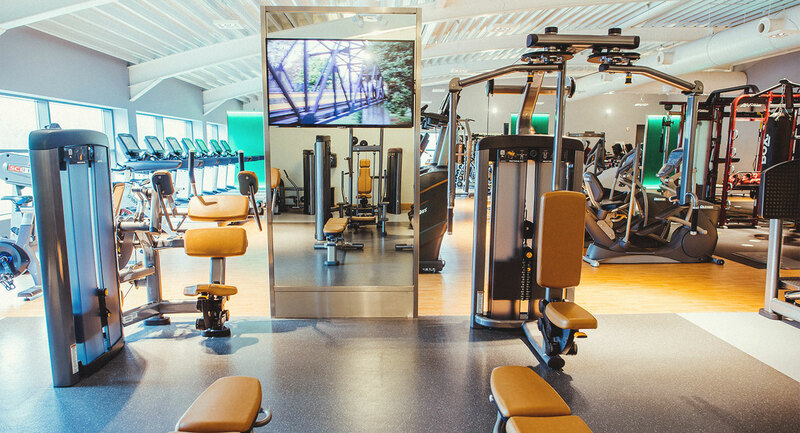 Here at David Lloyd Antwerp not only have we got an unrivalled range of equipment, our friendly gym staff and open planned layout means you'll quickly feel comfortable and ready to workout. Our brilliant SYNRGY360 area is super popular with our members. The functional training ‘playground’ provides endless ways to have a really effective, total body workout, all in one place. And because it lets you go at your own pace, it works well for everybody, however fit you are. Try it out for yourself, or join one of our SYNRGY360 classes that are run in the area throughout the week. Here at David Lloyd Antwerp we have lots of fun and exciting equipment in our gym, to make sure there’s always a new challenge on offer for our members. Our gym is based upstairs and has a wonderful 360° view of the club, meaning you can see our tennis courts, swimming pool, wellness area and more. There is so much natural light, that floods in onto all our state-of-the-art equipment, it really is the perfect setting to exercise. Whether you want to fit in a tough functional training session, try some of our weights equipment, use our cardiovascular kit, or a mixture of all, you’ll love working out here. Want to be a member? Enquire now.